to promote a weekend seminar in October, the dates to be confirmed soon. is an international lecturer on Sacred Geometry and Vedic Mathematics. He has taught thousands of children all over Australia and overseas in his program called “Mathemagics” that teaches the translation of Number Sequences into Atomic Art. His book The Art of Number is a comprehensive summary of all the rare da-vinci-code-like patterns and sequences that constitute a new model for mathematical education, a step towards the creation of his Sacred Geometry University, currently being made available online. Introductory Night Lecture on Vedic Mathematics: from 7 to 10pm. Are you wanting your child to improve their mathematical abilities? 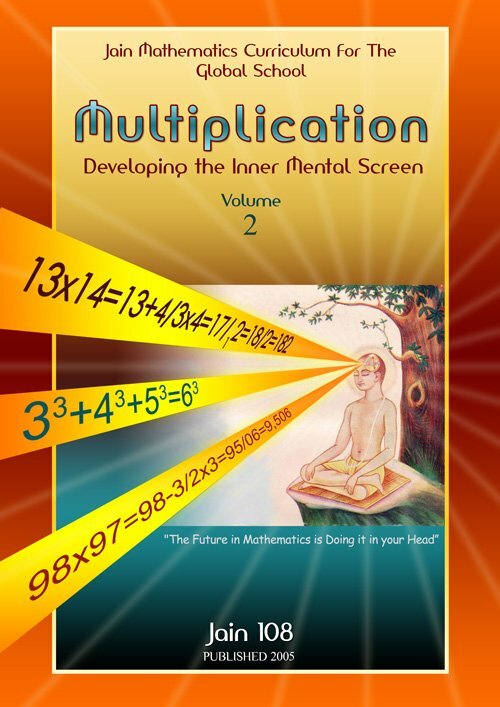 Would you like your child to multiply 98 x 97 in 5 seconds! Improve their Mathematical Confidence and Memory Power! Develop you Inner Mental Screen. Access Your Genius Mind, rewiring neural pathways! Empower your Child with this supreme Art of Rapid Mental Calculation. Currently, in India, and now worldwide, students are learning a revived 3,000 year old technique called Vedic Mathematics. Jain of Australia was the first person in the world to create a comprehensive dvd on this topic in 2002 reviving the suppressed work of the Indian Pope: Bharati Krsna Tirthaji who tried to teach this curriculum in the USA in the late 1950s. Jain has developed a new Steinerism or spiritual education, converting Number Sequences Into Atomic Art. Watch this amazing 2 hour powerpoint presentation that shows how his visual mathematics and geometry program is suitable for the Indigo or Crystal Kids from ages 5 to 12 to 20 and for adults. A Right-Feminine-Brain approach delivered very visually makes this topic appealing to both children and adults. Magic Squares, a squared array of numbers where all columns, rows and diagonals have the same Magic Sums, fascinating many various cultures for thousands of years eg: The Centre of the Sino-Tibetan Calendar is the Magic Square of 3×3 and its pattern forms the atomic structure of Diamond! Cost: Adults: $25, Concession $20. 10.00am – 11.30am – powerpoint on the Speed Mathematics, dedication to Bharati Krsna Tirthaji. 12.00am – 1.00pm – Learning 2 years of Times Tables in 10 minutes! 2.00pm – 3.30pm – Learning 5 of the 16 Sutras or Formulae eg: Calculating 98×97 in 5 seconds! Cost: $140 Concession $120 30 Page Workbook supplied. 12.00am – 1.00pm – Drawing the Tibetan Magic Square of 3×3 rotations and tessellations to produce the Atomic Structure of Diamond. 4.00pm – 5.00pm – Benjamin Franklin Magic Square of 8×8 and its amazing properties.